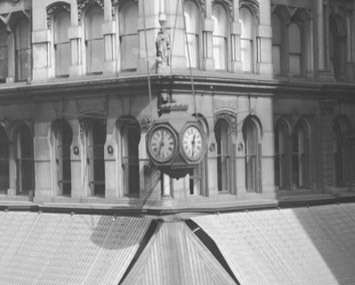 The Digital Research Library of Illinois History Journal™: Marshall Field & Company, State Street Store, Chicago, Illinois showing the 1st, original clock in 1904. Marshall Field & Company, State Street Store, Chicago, Illinois showing the 1st, original clock in 1904. 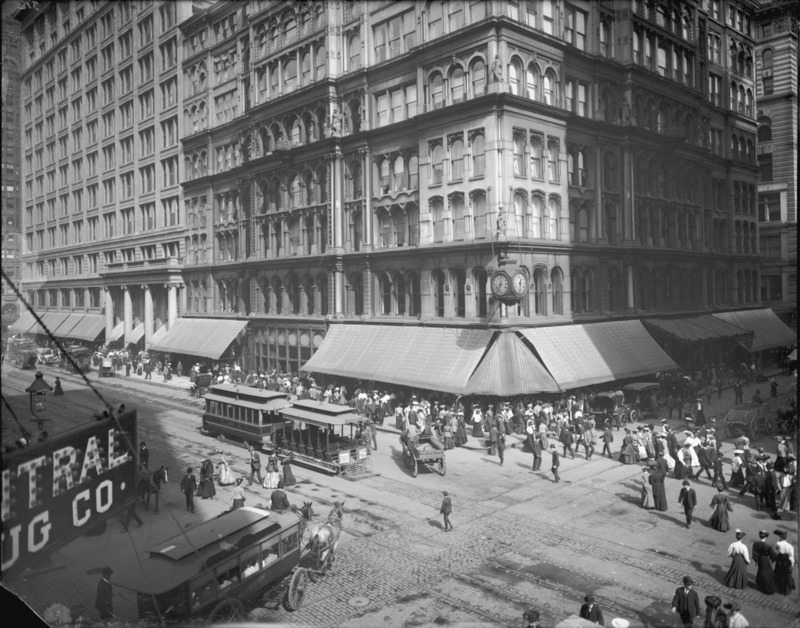 Marshall Field & Company, State Street Store, Chicago, Illinois - The 13-story granite building (the North portion) was constructed in stages between 1891-1892 and 1914 on a partitioned block with sections that were added to the building in 1902, 1906, 1907, and 1914. 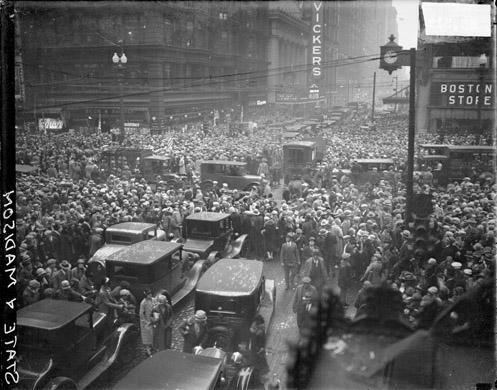 The south building was razed and replaced in 1907. 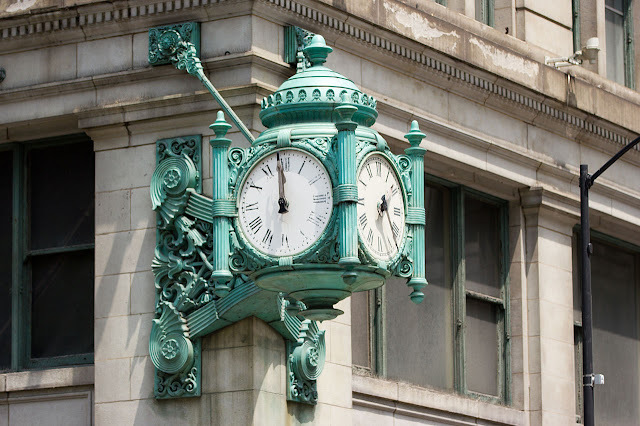 The first Marshall Field clock was installed in 1897 on to the building's corner of State and Washington streets (the old south building). 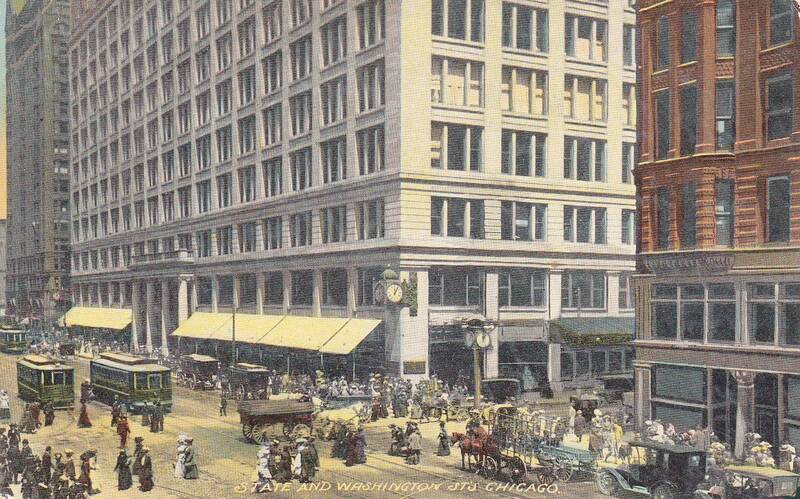 A second, fancier clock was added at the corner of State and Randolph streets in 1902. For five years the designs of the clocks didn’t match, but in 1909 the original clock at State and Washington was replaced with one that was identical to the second clock on State and Randolph streets when the south building was built to match the north building. 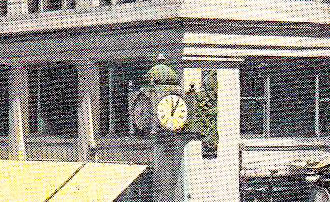 Below is the often misidentified Boston Store clock at State and Madison Streets which is one block to the south of Marshall Field's. Written by Neil Gale, Ph.D.